One bezel set oval cabochon cut natural ethiopian opal, measuring 18.50 x 14.50 x 10.35mm, approximate weight of 13.99ct. 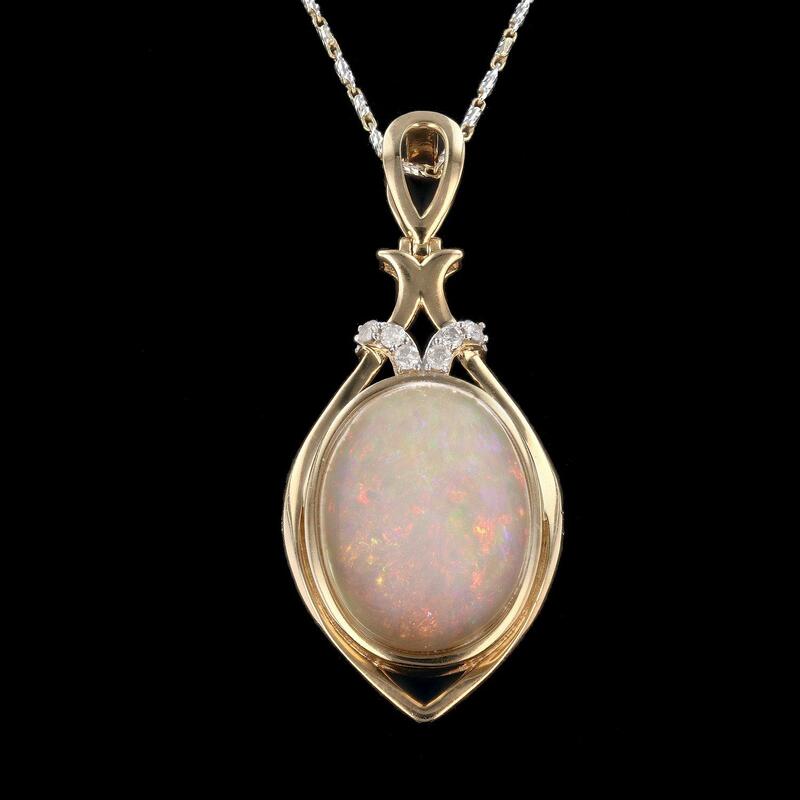 The opal has a somewhat bright, red multicolor play of color (fire) in a harlequin pattern; a high dome; a good cut; no inclusions; consistent in its brightness and pattern; and is not directional. Graded in the setting. Six prong set round brilliant cut diamonds approximate total weight of 6 Stones = 0.14ct. Graded in the setting. Total Weight of Colored Stones 13.99ct. Total Weight of Diamonds 0.14ct.